Kenji Hashimoto, professor at Chiba University Center for Forensic Mental Health, Japan. A research paper on Parkinson's disease that's the work of scientists at Chiba University, Japan, and the University of California, Davis, has been selected as an “Extramural Paper of the Month” by the National Institute of Environmental Health Sciences (NIEHS). The paper, which indicates that a brain enzyme could play a key role in curbing or preventing the progression of Parkinson's disease, is one of four singled out as exemplary on the NIEHS website. “This could be a “revolutionary paper that could cure Parkinson's disease,” commented co-author Bruce Hammock, a UC Davis distinguished professor of entomology with a joint appointment with the UC Davis Comprehensive Cancer Center. He is the 30-year director of the UC Davis NIEHS Superfund Program, which helped fund the research. "A related compound to the drug used in the paper will enter human safety trials sponsored by NIH in early 2019." Lead author Qian Ren of the Kenji Hashimoto lab, Division of Clinical Neuroscience, Chiba University Center for Forensic Mental Health, Japan. The paper, “Soluble Epoxide Hydrolase Plays a Key Role in the Pathogenesis of Parkinson's Disease,” published May 7 in the Proceedings of the National Academy of Sciences, is primarily the work of scientists in the laboratory of Kenji Hashimoto, a professor with the Division of Clinical Neuroscience, Chiba University Center for Forensic Mental Health, Chiba, Japan, and the Hammock laboratory. Other UC Davis scientists who co-authored the paper are Jun Yang and Sung Hee Hwang of the UC Davis Department of Entomology and Nematology and the UC Davis Comprehensive Cancer Center. The team of 14 scientists demonstrated that inhibiting the enzyme soluble epoxide hydrolase (sEH) compound in mice helped curb the inflammation associated with the development and progression of Parkinson's disease (PD), an age-related brain disorder that affects a million Americans, mostly 60 and over. The researchers exposed mice to methyl-4-phenyl-1, 2, 3, 6 tetrahydropyridine (MPTP), a neurotoxicant that leads to symptoms of PD in animals. They found two approaches that protected against MPTP-induced neurotoxicity in the mouse brain--adding a potent sEH inhibitor, and genetically modifying mice to not produce sEH. 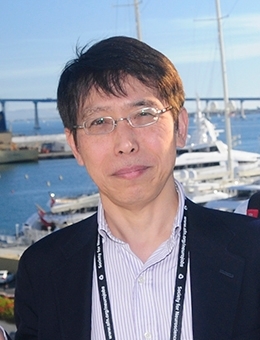 “Our research suggests that the sEH inhibitor may prevent the progression of Parkinson's disease (PD) as well as treat patients with dementia of Lewy bodies (DLB) if the sEH inhibitor is used in early phases of patients with these disorders,” said Hashimoto, whose career spans 30 years in the development of blood biomarkers and novel therapeutic drugs and includes more than 550 publications on the topic. 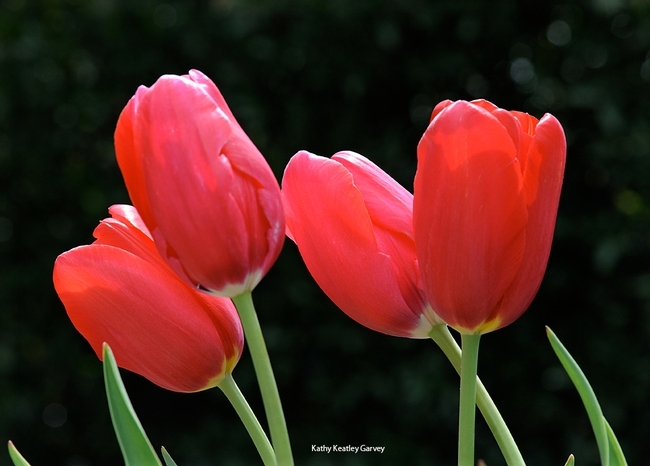 “Both PD and DLB are chronic and progressive movement disorders. However, the precise causes of these diseases are largely unknown.” Lead author was Qian Ren of the Hashimoto lab. Hammock and a colleague Sarjeet Gill (now of UC Riverside) discovered the sEH enzyme in a UC Berkeley lab while they were researching insect developmental biology and green insecticides. 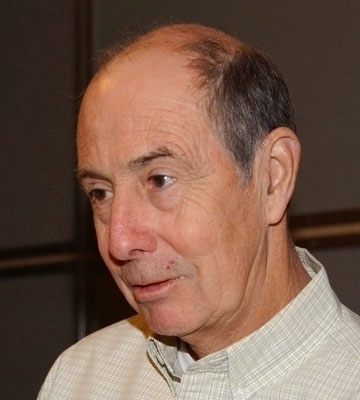 The work, begun in 1969, led to the discovery that many regulatory molecules are controlled as much by degradation as by biosynthesis, Hammock said. These epoxy fatty acid chemical mediators control blood pressure, fibrosis, immunity, tissue growth, and pain and inflammation. The Hammock laboratory has published nearly 900 peer-reviewed papers on the sEH enzyme. To date, journals have published more than 17,000 peer-reviewed papers on the sEH enzyme and its inhibitors. Hammock credits the NIEHS with supporting his research in this area since the 1970s. Hammock said the soluble epoxide hydrolase inhibitors that inhibit the soluble epoxide hydrolase will soon enter human clinical trials supported by the NIH-NINDS Blueprint Program (NIH's Health's National Institute of Neurological Disorders and Stroke). “These drugs could provide relief for patients with a wide variety of inflammatory diseases,” said Hammock, who is a member of the National Academy of Sciences and the National Academy of Inventors. A newly published study by a team of scientists at Chiba University, Japan and at the University of California, Davis shows that inhibiting an enzyme, the soluble epoxide hydrolase (sEH), plays a key role in curbing the inflammation associated with the development and progression of Parkinson's disease, an age-related brain disorder that affects a million Americans, mostly 60 and over. The research, published today in the Proceedings of the National Academy of Sciences, is primarily the work of scientists in the labs of Kenji Hashimoto, a professor with the Division of Clinical Neuroscience, Chiba University Center for Forensic Mental Health, Chiba, Japan, and Bruce Hammock, UC Davis distinguished professor of entomology with a joint appointment in the UC Davis Comprehensive Cancer Center. Statistics indicate physicians diagnose 60,000 new cases of Parkinson's disease every year in the United States. The average age of onset is 60, and is more predominant among men. Kenji Hashimoto, professor with the Division of Clinical Neuroscience, Chiba University Center for Forensic Mental Health, Chiba, Japan. The paper, titled “Soluble Epoxide Hydrolase Plays a Key Role in the Pathogenesis of Parkinson's Disease,” is co-authored by 14 scientists, including Professor Hammock and Jun Yang and Sung Hee Hwang, all part of the UC Davis Department of Entomology and Nematology and the UC Davis Comprehensive Cancer Center. 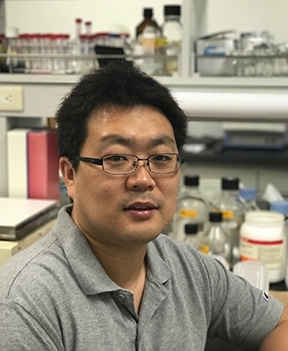 Lead author Qian Ren of the Kenji Hashimoto lab, Division of Clinical Neuroscience, Chiba University Center for Forensic Mental Health, Chiba, Japan. 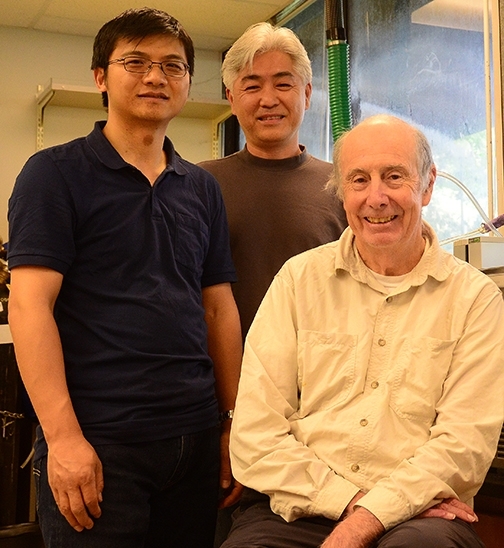 Robert Higgins, emeritus professor of neuropathology at the UC Davis School of Veterinary Medicine, said: "I find it exciting that Ren and colleagues illustrate a promising path to a drug to prevent the progression of Parkinson's disease. It is impressive how far this work has come since we collaborated with Shirley Gee and the Hammock laboratory on developing a sheep model of Parkinson's disease in the early 1980s." 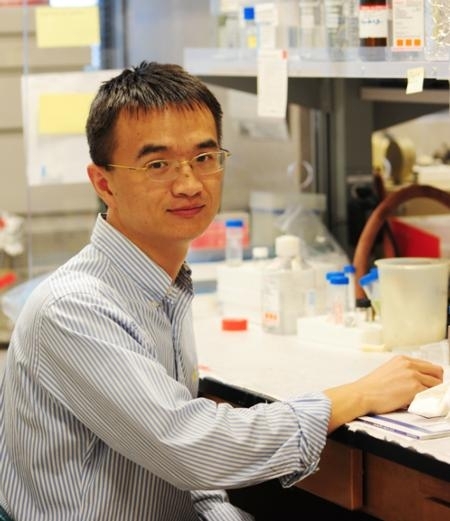 Li, who received his doctorate at UC Davis in 1990, studying with Professors Hammock and James Seiber, said “The authors brilliantly identified sEH as a potential therapeutic target and elucidated the mechanism of action of TPPU as a sEH inhibitor, preventing neurodegeneration. These findings provide insights into understanding the pathways in the complex pathogenesis of Parkinson's disease. Ultimately, the results of this study area crucial step toward helping our clinicians manage α-synuclein-related neurodegenerative disorders and providing patients and their loved ones a greater sense of hope for the future.” TPPU or 1-trifluoromethoxyphenyl-3-(1-propionylpiperidin-4-yl)urea, is an orally active, potent sEHinhibitor developed at the University of California and widely used around the world. This basic research drew support from several grants from Japan, including the Strategic Research Program for Brain Sciences, and at UC Davis, grants funded by the National Institute of Health's Institute of Environmental Health Sciences (NIH/NIEHS), and the NIEHS Superfund Program. 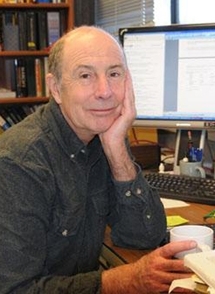 Hammock, a member of the National Academy of Sciences and the National Academy of Inventors, has directed the NIH/NIEH Superfund Program for more than 30 years. Hammock said the soluble epoxide hydrolase inhibitors that inhibit the soluble epoxide hydrolase will soon enter human clinical trials supported by the NIH-NINDS Blueprint Program (NIH's Health's National Institute of Neurological Disorders and Stroke). “These drugs could provide relief for patients with a wide variety of inflammatory diseases,” he said. The Hammock laboratory has published nearly 900 peer-reviewed papers on the sEH enzyme, discovered while Hammock and Sarjeet Gill (now of UC Riverside) were researching insect developmental biology and green insecticides at UC Berkeley. The work, begun in 1969, led to the discovery that many regulatory molecules are controlled as much by degradation as by biosynthesis, Hammock said. These epoxy fatty acid chemical mediators control blood pressure, fibrosis, immunity, tissue growth, and pain and inflammation. To date, journals have published more than 17,000 peer-reviewed papers on the sEH enzyme and its inhibitors. Hammock credits the NIEHS for supporting his research in this area since the 1970s. DAVIS--A drug developed in the laboratory of Bruce Hammock, distinguished professor at the University of California, Davis, yields hope for the prevention of Alzheimer's, a severe and chronic psychiatric disease that affects more than 350 million people worldwide. Researchers at the Huazhong University of Science and Technology, Wuhan China, used the drug developed at UC Davis to show that the neurofibrillary pathology of an Alzheimer's disease-related protein could be dramatically reduced. Their work was published in December in the Journal of Huazhong University of Science and Technology. 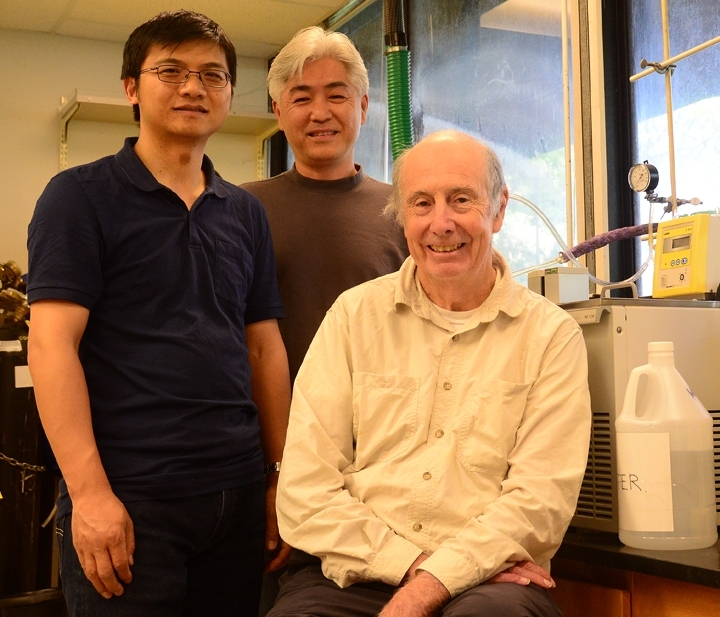 “They further demonstrated the mechanism of action of the UC Davis drug in blocking the oxidative stress-driven phosphorylation events associated with Alzheimer's disease,” Hammock said. The UC Davis drug stabilizes natural anti-inflammatory mediators by inhibiting an enzyme called soluble epoxide hydrolase (sEH) discovered at UC Davis and recently spotlighted in the Proceedings of the National Academy of Sciences and the National Institutes of Health's PubMed. 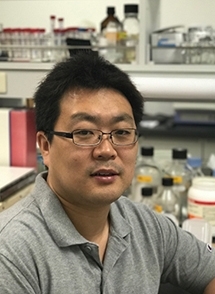 “I was thrilled to see this paper on tau phosphorylation from Huazhong University shows that our drug could block a key event and a key enzyme called GSK-3 beta thought critical in the development of Alzheimer's disease,” said Hammock, who holds a joint appointment in the UC Davis Department of Entomology and Nematology and the UC Davis Comprehensive Cancer Center. The PNAS paper, “Gene Deficiency and Pharmacological Inhibition of Soluble Epoxide Hydrolase Confers Resilience to Repeated Social Defeat Stress,” was co-authored by a 13-member research team led by Hammock and Kenji Hashimoto of Chiba University Center's Division of Clinical Neuroscience, Japan. They found that sEH plays a key role in the pathophysiology of depression, and that epoxy fatty acids, their mimics, as well as sEH inhibitors could be potential therapeutic or prophylactic drugs for depression and several other disorders of the central nervous system. Co-authors of the paper included Hammock lab researchers Christophe Morisseau, Jun Yang and Karen Wagner. 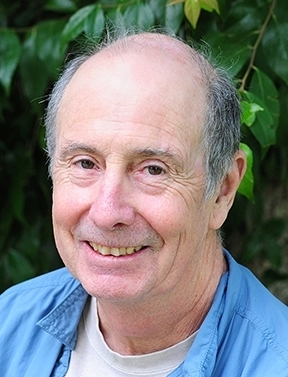 Hammock credited several UC Davis colleagues for their work leading to the publications. Research from the labs of Liang Zhang and Qing Li at the University of Hawaii--Qing is a former UC Davis doctoral student--pointed out some of the mechanisms involved in cognitive decline which associate professor Aldrin Gomes of the UC Davis Department of Neurobiology, Physiology and Behavior and Fawaz Haj of the UC Davis Department of Nutrition “have shown to be blocked by the natural metabolites stabilized by the UC Davis drugs,” Hammock said. One of the Hammock lab drugs is moving toward human clinical trials for neuropathic pain through a Davis-based company, EicOsis, LLC, and the financial support of the Blueprint Program through NIH's National Institute of Neurological Disorders and Stroke. Hammock founded the company to develop inhibitors to the soluble epoxide hydrolase, a key regulatory enzyme involved in the metabolism of fatty acids, to treat unmet medical needs in human and animals. “The clinical back-up candidate at EicOsis penetrates the blood brain barrier and should be a perfect compound to test if this class of chemistry can prevent cognitive decline and Alzheimer's disease,” Hammock said. The National Institute of Environmental Health Sciences, National Institutes of Health, funded the research. Highly honored by his peers, Hammock is a fellow of the National Academy of Inventors, which honors academic invention and encourages translations of inventions to benefit society. He is a member of the U.S. National Academy of Sciences, a fellow of the Entomological Society of America, and the recipient of the Bernard B. Brodie Award in Drug Metabolism, sponsored by the America Society for Pharmacology and Experimental Therapeutics. He directs the campuswide Superfund Research Program, National Institutes of Health Biotechnology Training Program, and the National Institute of Environmental Health Sciences (NIEHS) Combined Analytical Laboratory. Research led by an interdisciplinary team of scientists from the University of Pittsburgh School of Medicine, Geisel School of Medicine at Dartmouth, and the University of California, Davis, sheds new light on cystic fibrosis, a chronic lung disease that affects some 30,000 Americans. “We think that this research will lead to a very positive outcome to improve the lives of cystic fibrosis patients,” said co-author Bruce Hammock, distinguished professor in the UC Davis Department of Entomology and Nematology who holds a joint appointment with the UC Davis Comprehensive Cancer Center. The research, published in the current edition of the Proceedings of the National Academy of Sciences, links a newly discovered class of bacterial enzymes to battling cystic fibrosis, a progressive, genetic disease characterized by persistent lung infections and inability to breathe normally. 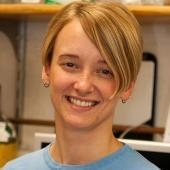 Senior author Jennifer Bomberger of the Department of Microbiology and Molecular Genetics, University of Pittsburgh School of Medicine explained that the opportunistic bacterium, Pseudomonas aeruginosa, outcompetes other microorganisms in a cystic fibrosis patient's lungs and establishes a stronghold. In analyzing secretions drawn from the lungs of cystic fibrosis patients at the Children's Hospital of Pittsburgh, the scientists discovered that the bacterium perpetuates inflammation by secreting an enzyme called Cif that sabotages the body's ability to make a key molecule called a "pro-resolving lipid mediator" and stop the inflammatory response it started. The scientific discovery could lead to new therapies that would interrupt or correct the bacterial sabotage, Hammock and Bomberger said. “This paper is the outcome of an exciting and interdisciplinary project,” said Hammock, who directs the UC Davis Superfund Program financed by the National Institutes of Health's National Institute of Environmental Health Sciences (NIH-NIEHS). Bomberger continues to work on the biology of the system while the Dartmouth and Davis groups have developed inhibitors of the action of CIF to stabilize pro-resolving mediators, reduce inflammation, and control periodic flare ups of bacterial infections. "It will be key to devise a way to remove P. aeruginosa's ability to capitalize on the body's natural inflammatory response, without eliminating that response," said Bomberger. "Inflammation is happening for a reason—to clear infection. 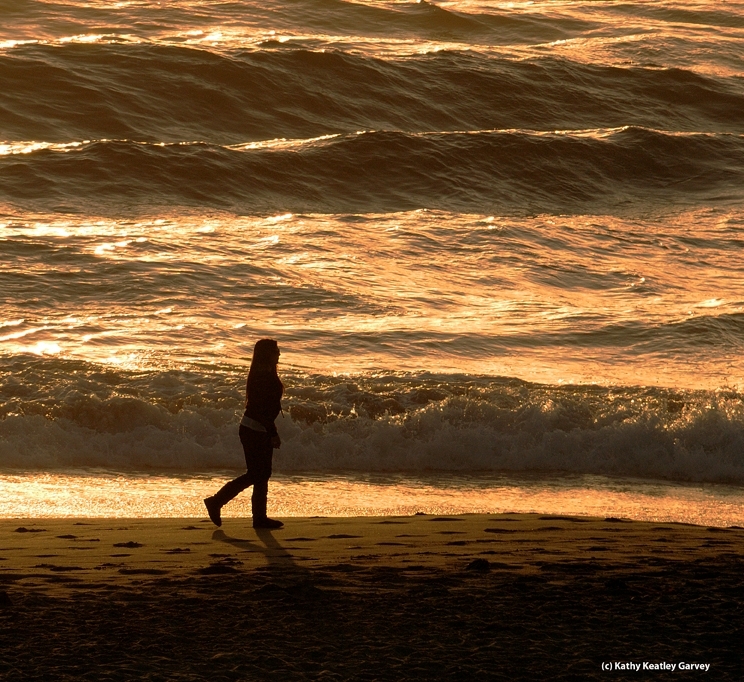 We just need it to temper the response when it is not effectively doing its job or is no longer needed." 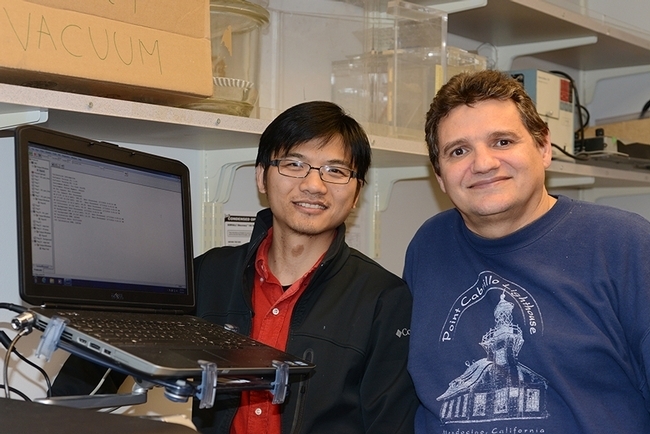 Other co-authors of the paper include Hammock lab members Christophe Morisseau and Jun Yang, both from the UC Davis Department of Entomology and Nematology and UC Davis Comprehensive Cancer Center. .Institutions involved in the study also included the Harvard School of Medicine.